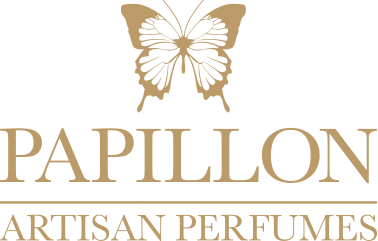 It has been a fabulous and hectic month since the Papillon launch, and we felt it was time we put out our first official thank you to our incredible stockists and customers for making the past few weeks so special. There has already been some excited progression for Papillon and we couldn’t wait to share it with you! 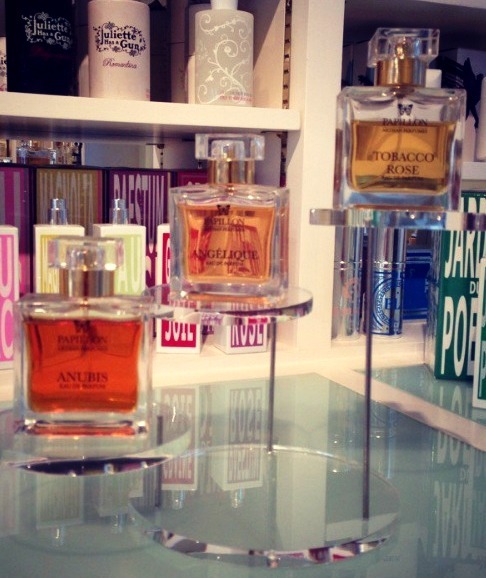 The month of July saw the Papillon trio make their first big move, from the studio floor to the (extremely beautiful) shop windows of Les Senteurs. We could never have predicted such a positive reception, and within two weeks Anubis and Tobacco Rose had completely sold out. This would not have been possible without the fantastic Les Senteurs staff and their compelling and genial spirits. 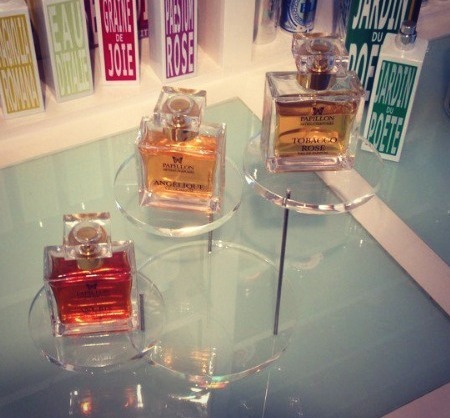 The perfumes have even been given their own glamorous stand! 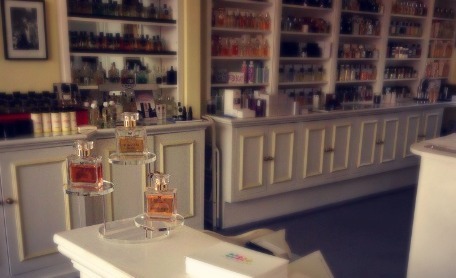 For those of you who have been fortunate enough to visit the Les Senteurs stores you will be familiar with the stunning decor and talented staff, and realise what a great honour it has been to see the Papillon bottles inside a shop that holds a very special place in the hearts of the Papillon team. We also have some exciting announcements for all our friends in the USA to come in the next few days. Watch this space!